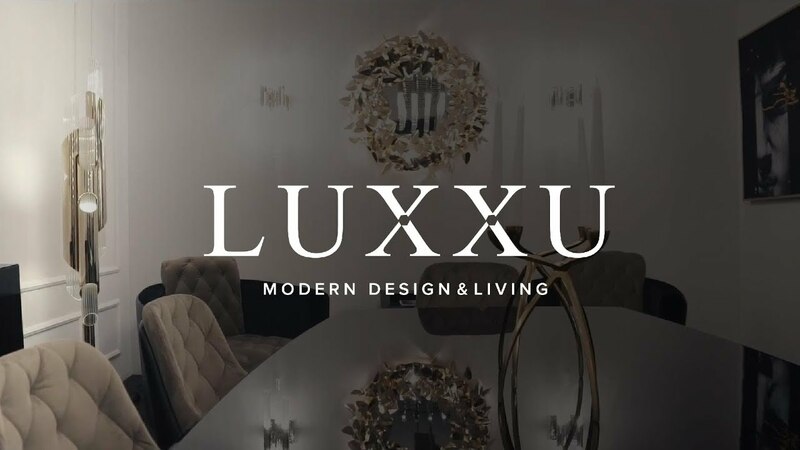 Luxxu Modern Design and Living! 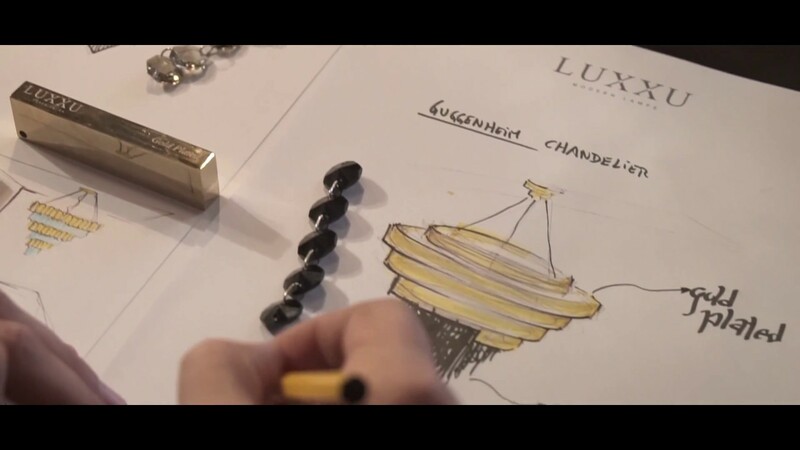 From the conception of an idea, to sketching and shaping, Luxxu has begun to enlighten the world of design with the creation of luxury lighting fixtures. LUXXU uncovers a crucial Imperial complement, a Furniture Collection. Offering resembling noble materials and finishing’s where customization blossoms as brand capital. Be our guest and get inspired by our renew collection of timeless pieces. Take a look at our presence at last edition of Salone del Mobile Milano. Come visit us at iSaloni del Mobile Milano. We´re waiting for you at Hall 6 Stand E 38. 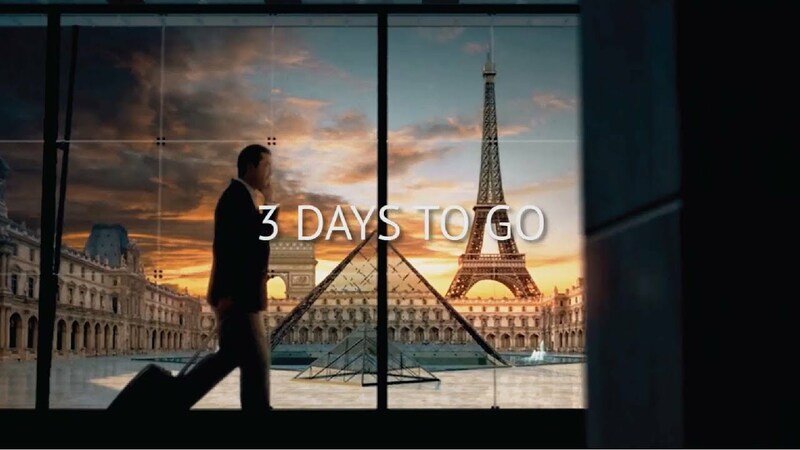 We're only 1 day to Maison et Objet. Come visit our modern and design living at Hall 5B - Stand C9. 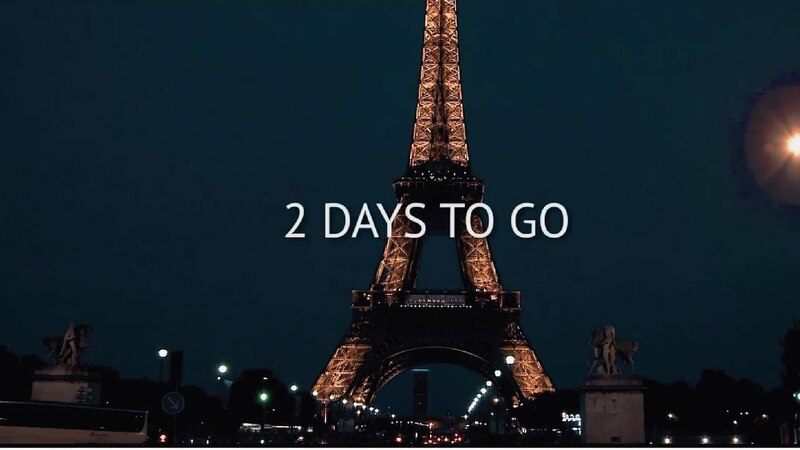 From 8-12 September join us in Paris. 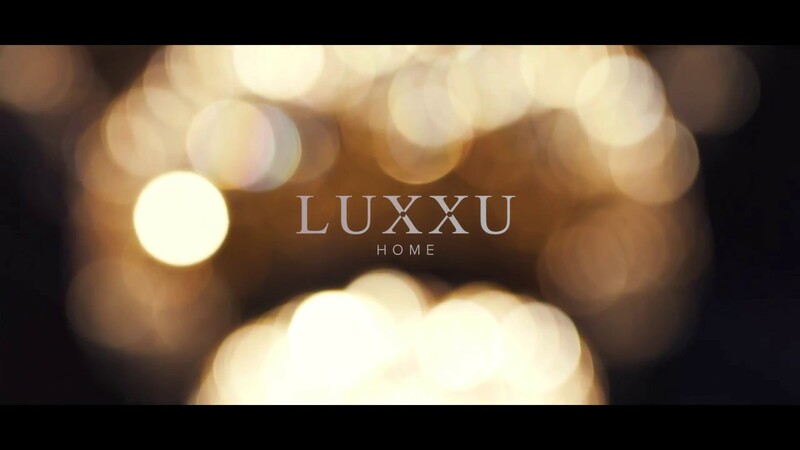 Luxxu returns to the world most renowned interior design trade show most luxurious than ever. 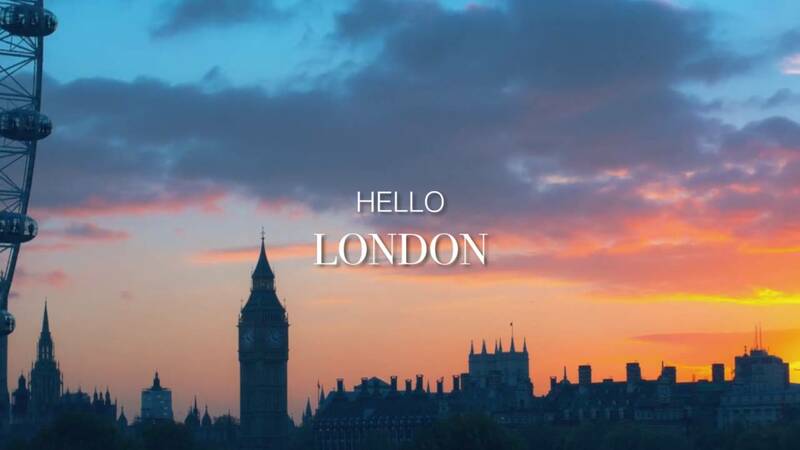 In the city of lights, in maison et objet will be the perfect place to present the best of our collection. Between 8-12 of September, join us at Hall 5B Stand C9. 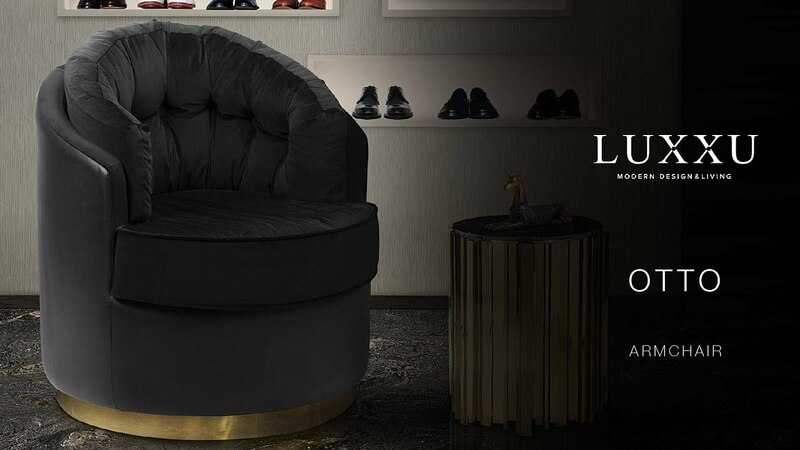 Otto armchair is LUXXU’s omen to its prosperous future, a luxurious design Empire. Made with noble materials, such as velvet and leather, the brass detail elevates this armchair into a masterpiece. Meaning greatness and fortune, this armchair is a statement in every imperial ambience. 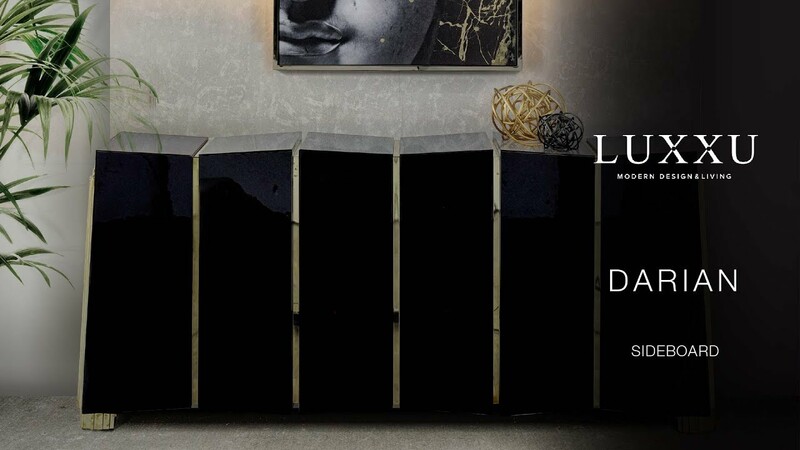 The Luxxu Darian sideboard draws inspiration from the power of the shield and sphere of protection, as well as the dynamic from its irregular shape. 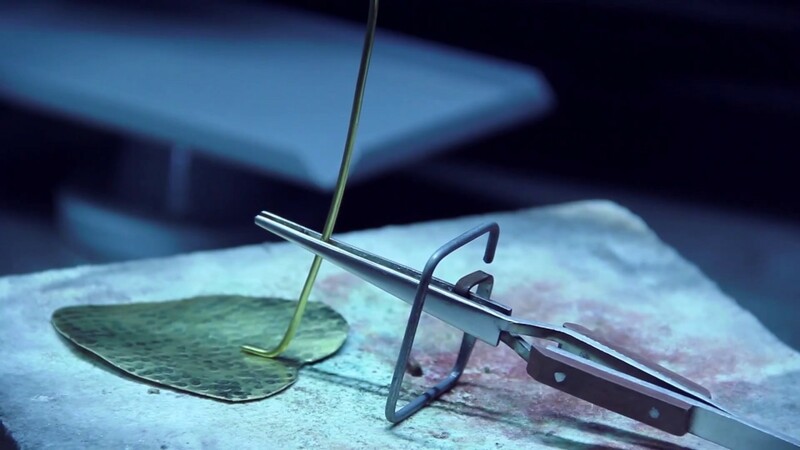 A precise knowledge of production techniques and materials, each with different specialities, from metal-work to wood carving. 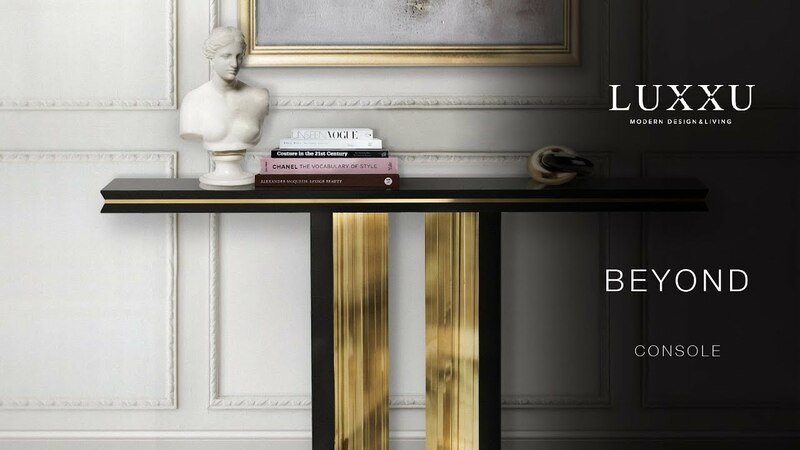 It features a cluster of gold plated brass asymmetrical bars envelope a wood structure in black lacquer, the resulting works are a blend of artful and stout personality. 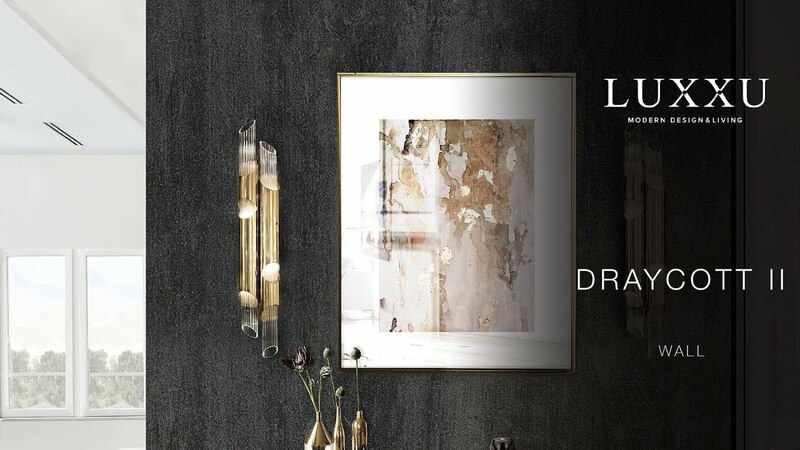 In every interior design project, Luxxu provides you a unique form to create fine and elegant environments. Customize and adapt our lighting and furniture goods with this featuring sample box with: metal finishes, crystal glass finishes, swarovski crystals finishes, cords finishes, and marbles finishes. A set of several combinations provided by Luxxu Customization Materials for upcoming modern interior design projects. The Darian sideboard draws inspiration from the power of the shield and sphere of protection, as well as the dynamic from its irregular shape. A precise knowledge of production techniques and materials, each with different specialities, from metal-work to wood carving. 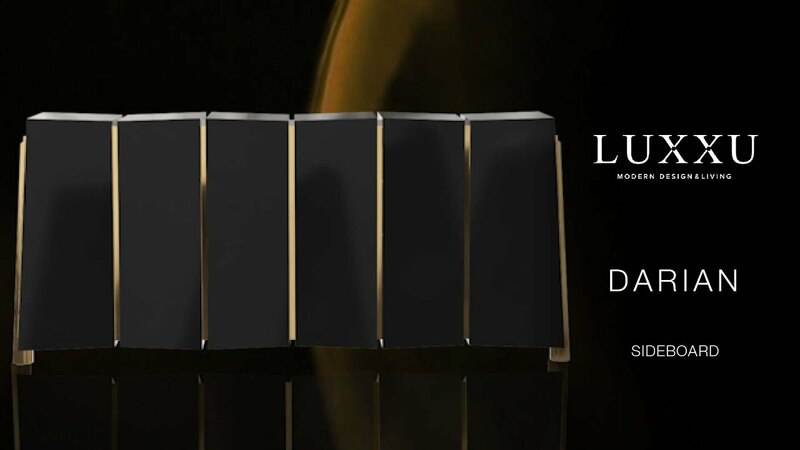 It features a cluster of gold plated brass asymmetrical bars envelope a wood structure in black lacquer, the resulting works are a blend of artful and stout personality. 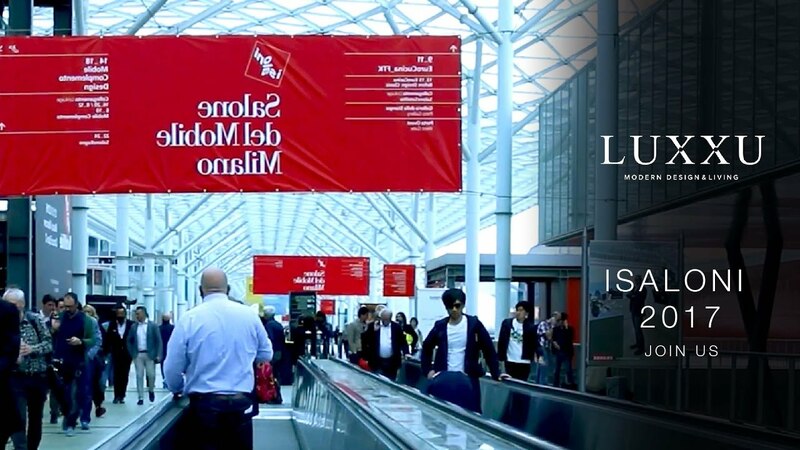 Hi, once again Luxxu will be at iSaloni Milan 2017, one of the most important trade shows of the world. 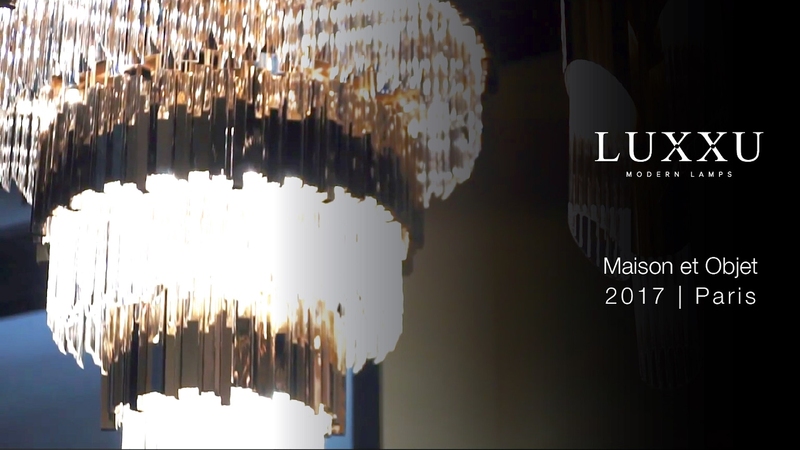 Between the 04-09 April, let us inspire you at Euroluce. Don't miss the opportunity to look at our furniture and light novelties. Join us at Hall 13, Stand H16, ciao! The best handmade techniques find balance in a delicate work in wood softened with touches of brass that reflect warm and golden tones on its polished surface. An impressive display of elegance, Beyond console shows the exquisite capacity to fill a variety of ambiances thanks to its luxury presence. 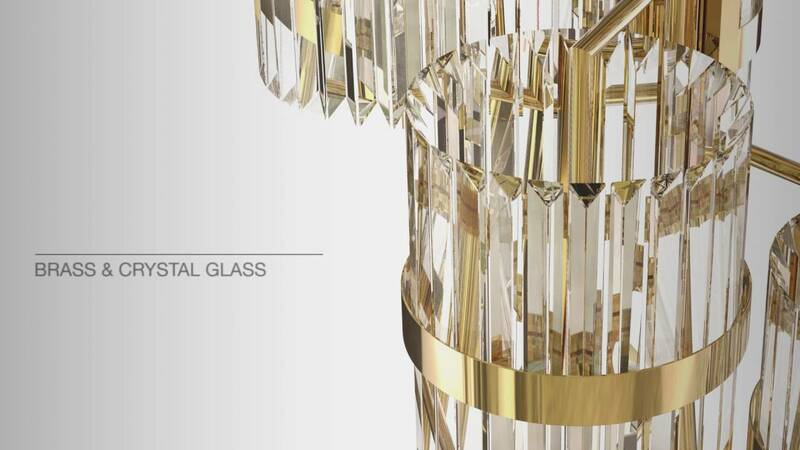 The glow takes the form of a golden plated brass circle and each of your ribbed crystal glass cylinders evokes a petrifying effect in any setting. 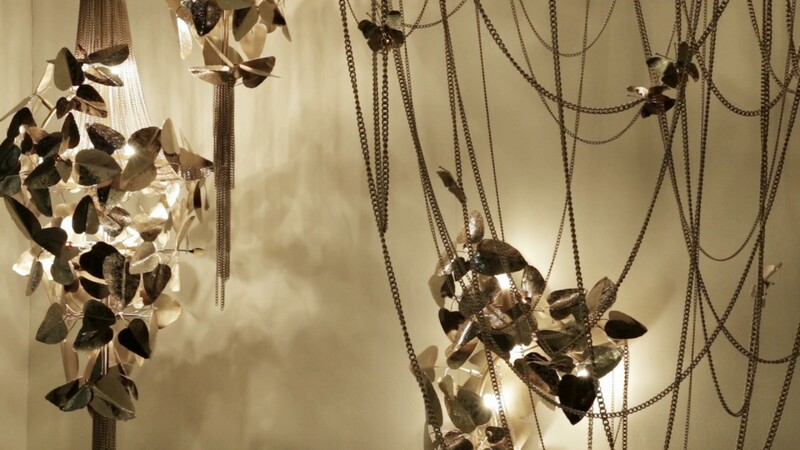 This emancipation of lighting reflects fascinating design of the craftsmen to become a mirror of desire. So is the Majestic. Following the footsteps of Draycott I wall, this wall lamp contemplates all details of the Draycott Tower in two tubes. For all that, the design remains delicate and exquisite. Another wall lighting solution made of brass and crystal glass. This is a new lighting experience! A harmonious synthesis between innovation and tradition, the rare handwork techniques of the craftsman and contemporary creativity. The poetic design of each piece of art is inspired by magnanimous buildings and is able to transform any ambiance, leaving strong feelings. 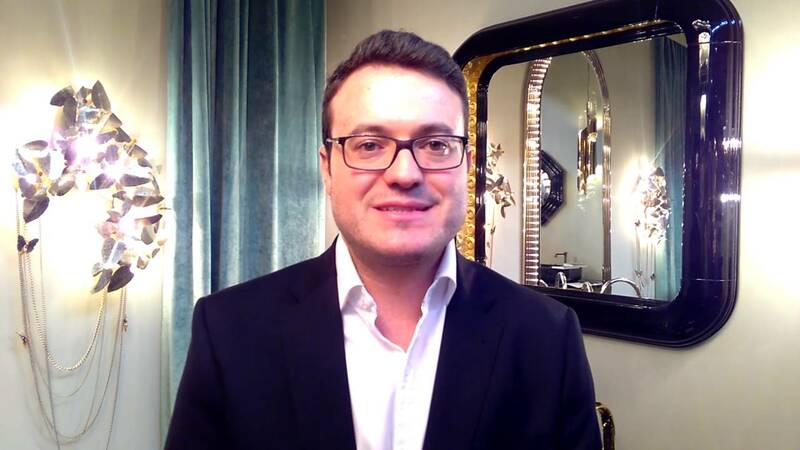 A long process and 19 more steps that takes covet group to get into maison et objet. Quite a journey build with designers, dreamers and believers into deliver the best portuguese furniture for exquisite interior design. 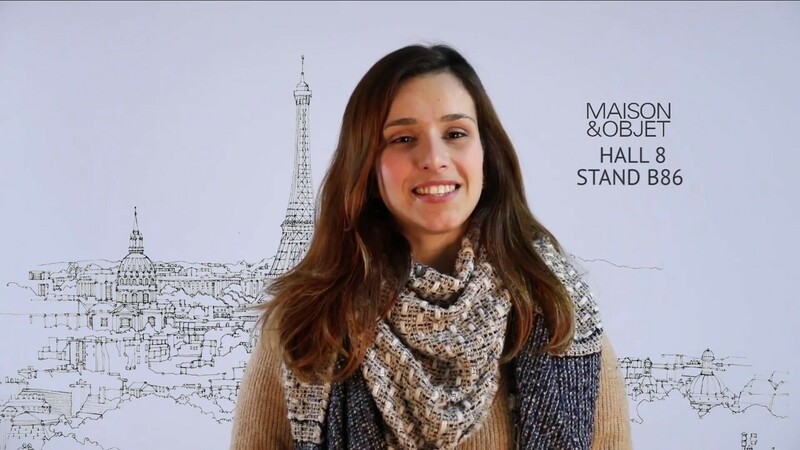 Here's a quick review of our presence at the last Maison & Objet Paris. See you at the next design tradeshow. Be LUXXU! 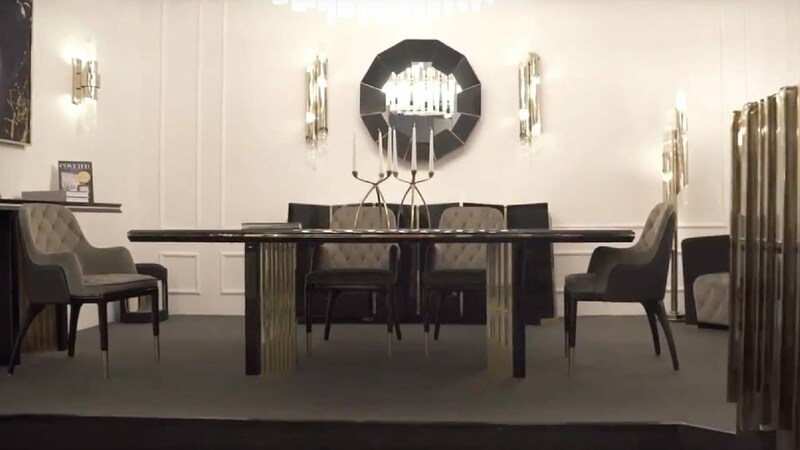 Covet Design Group presents you our legacy throughout 14 years, with already 10 top interior design brands with more than 1000 products and 350 people. 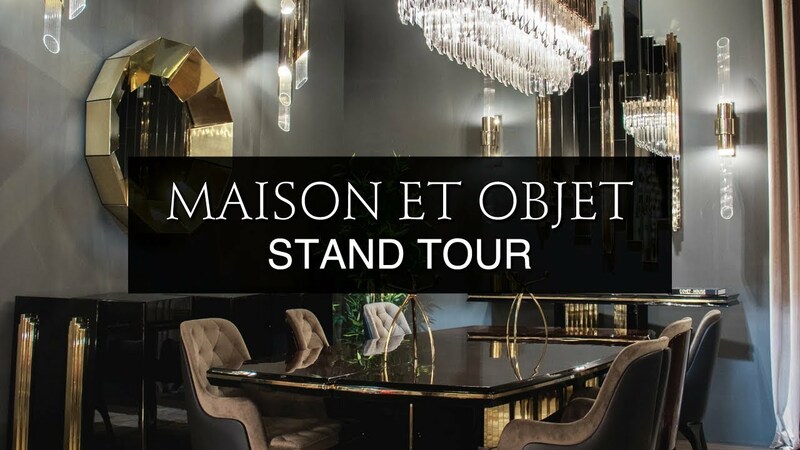 At the same time, we are lauching a new series of episodes, A Step Into Maison et Objet, to show you our extraordinary journey into Maison et Objet Paris. At 2017, we are one of the biggest exhibitors. This master piece is inspired in one of the most known statue in the world, The Statue of Liberty. Like the lady carries enlightenment to the world, Luxxu pretends with this elegant design enlightenment all of your projects. Made in brass and crystal glass. 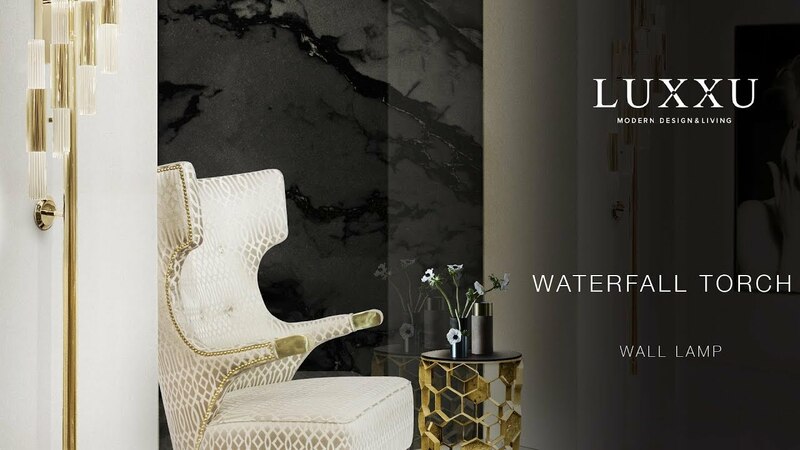 Luxxu presents a circular shape of glamorous sensation of waterfalls. 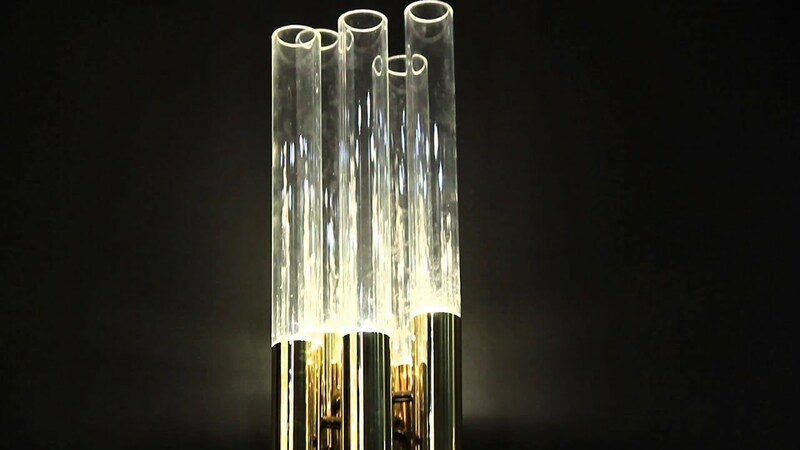 It’s a powerful creation made with gold plated brass combined with ribbed fine tubes of glass. This inspiration requires a particular approach because is still a myth, “The babel Tower”. We brought the fantasy of detail to reality through these magnificent and lush crystals. 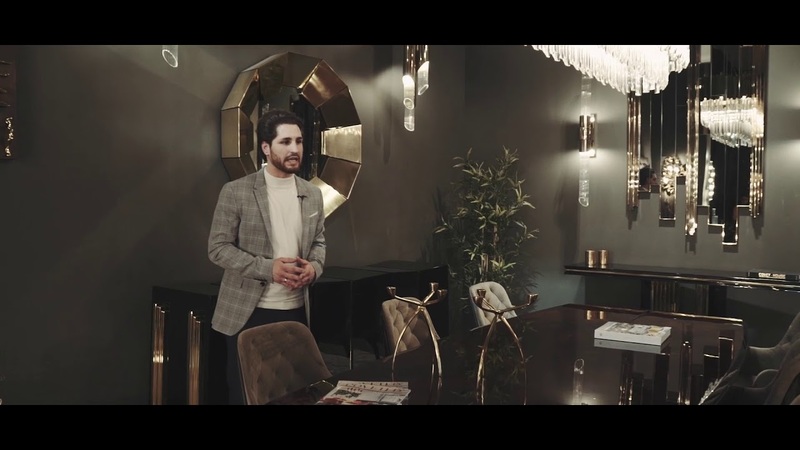 Created with glass and brass and finished with gold plated, this magnificent lighting piece is capable of giving a luxurious and glamorous look to any space. Everything sparkles under this elegant pendant lamp. 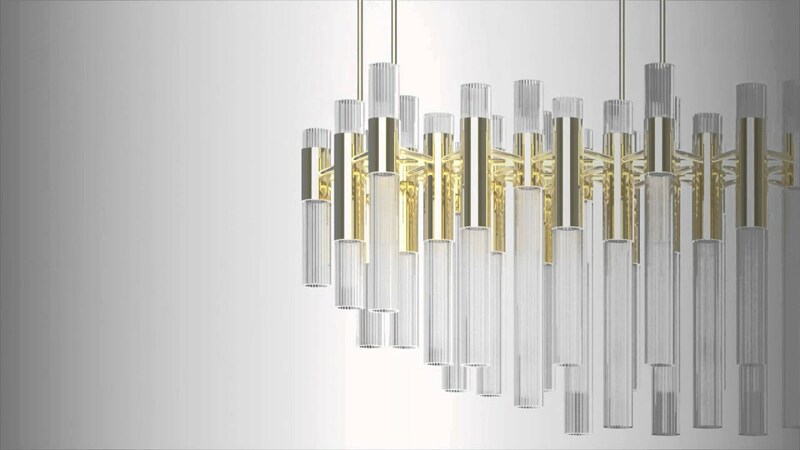 This master piece made with gold plated brass combined with ribbed fine tubes of crystal glass brings a natural feeling of waterfalls to any space. 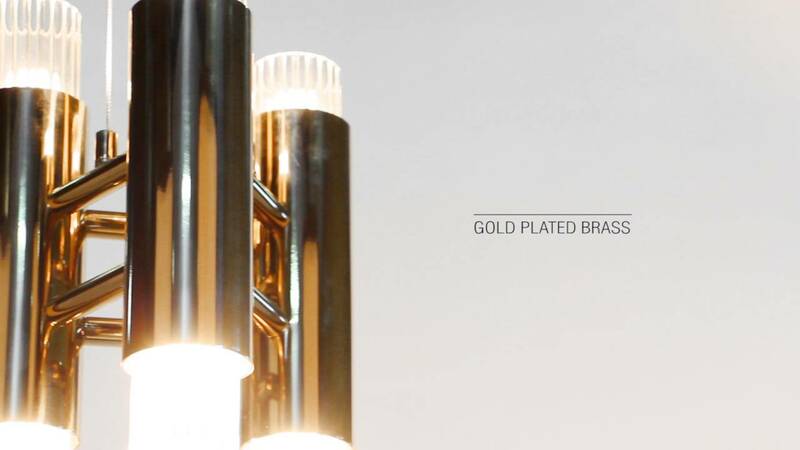 Its structure has 3 tubes like the original inspiration made in brass and crystal glass. It transmits elegance and purity to every space. Because of its huge dimension, the reception or lobby areas can be a perfect space for this gorgeous masterpiece. 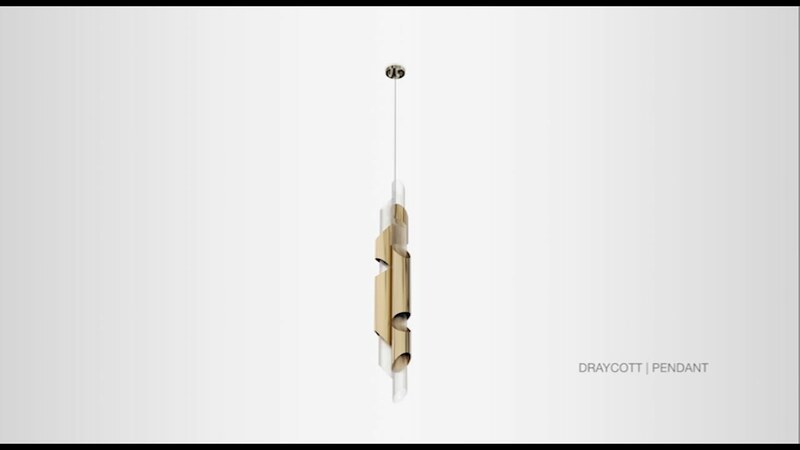 Take a look at our production of our masterpieces Drycott Pendant & Empire XL. 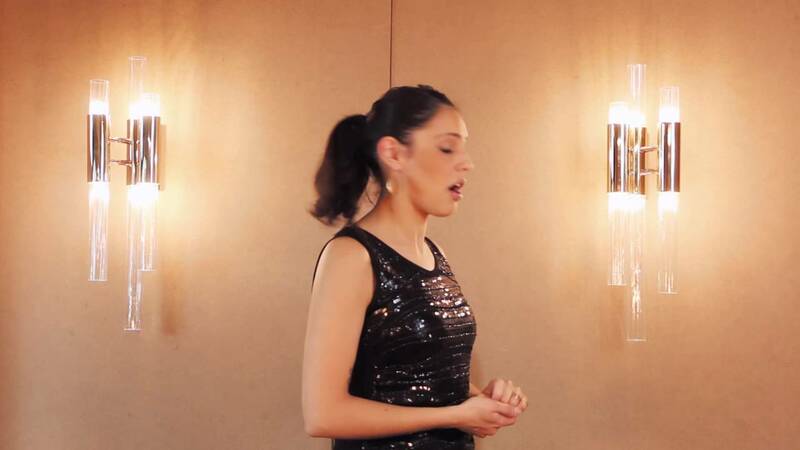 We are presenting one of the pieces of our collection - The Waterfall Wall. 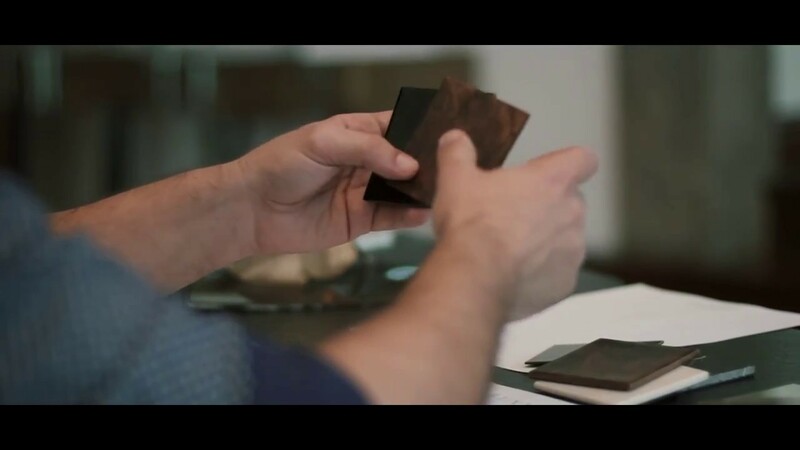 Discover the materials, finishes and other technical features of this piece. We are presenting one of the pieces of our collection - The Empire Wall. Discover the materials, finishes and other technical features of this piece. 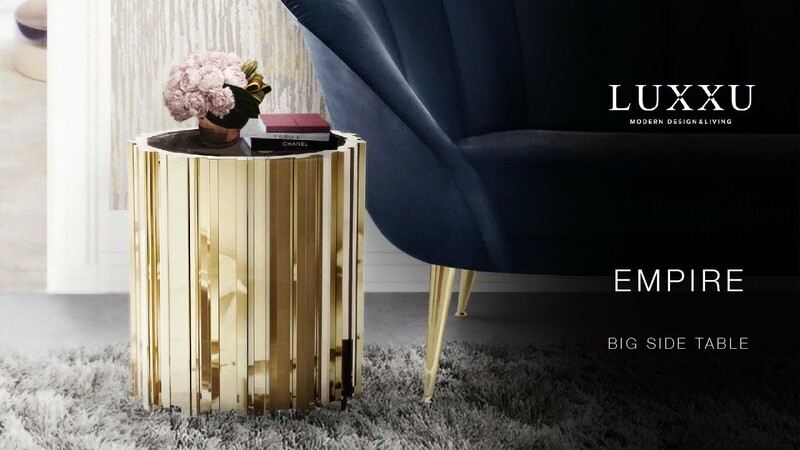 Empire State building was the inspiration for this stunning side table. It adds a classic, yet modern appeal to any space. 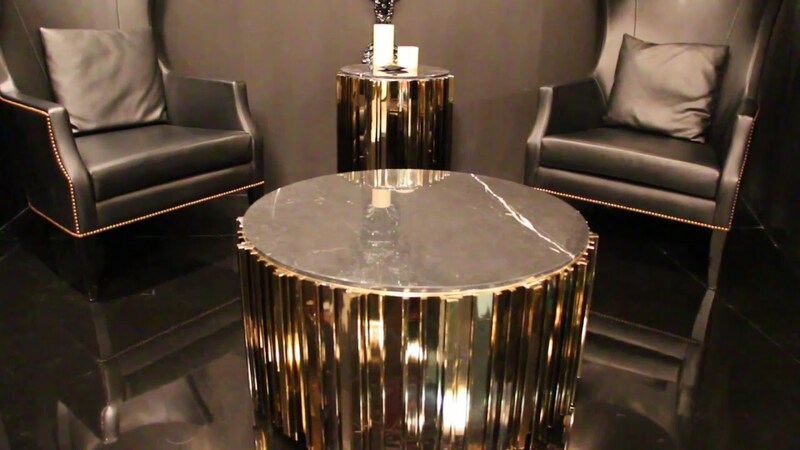 Made with the highest quality of brass and nero marquina marble, this is ideal to create a spectacular and sophisticated living room, entrance or bedroom. 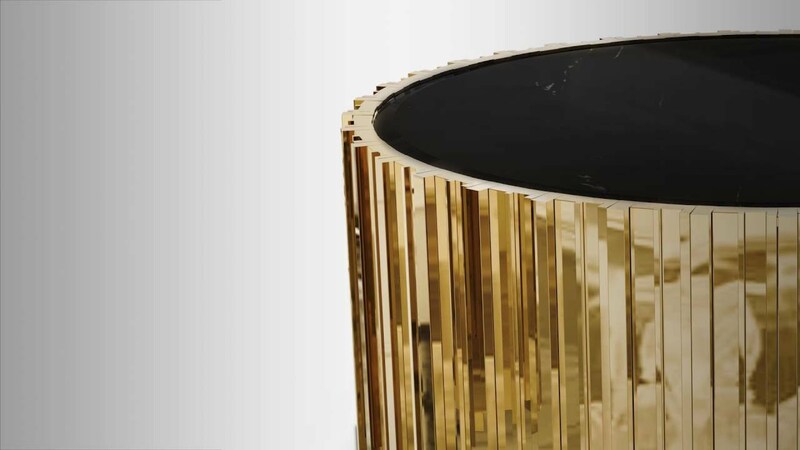 This center table has an extravagant shape of refinement and style. 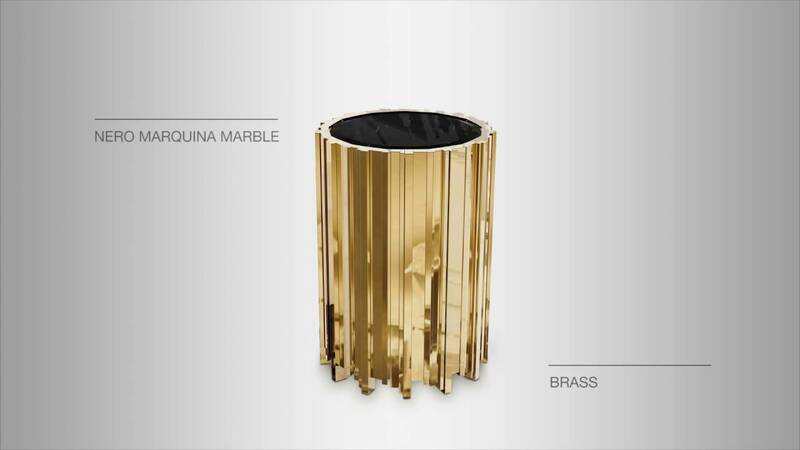 It is carefully made in brass and nero marquina marble. This is a perfect combination between the classic and modern, design for every interior setting. 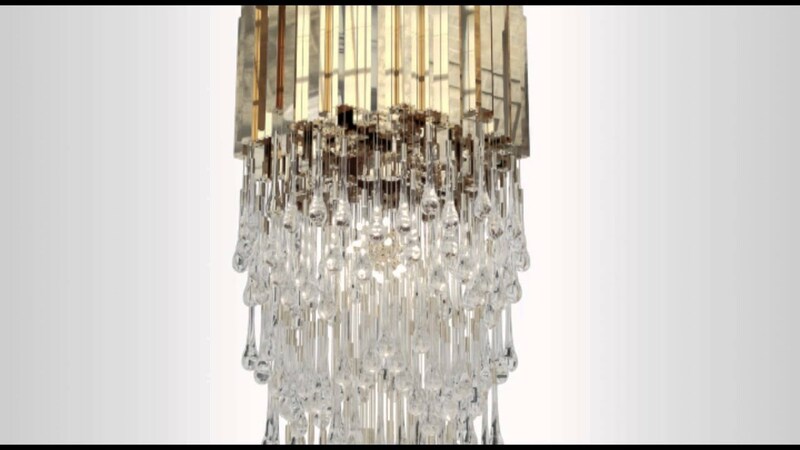 This master piece made with gold plated brass combined with ribbed fine tubes of crystal glass brings a natural feeling of waterfalls to any space. 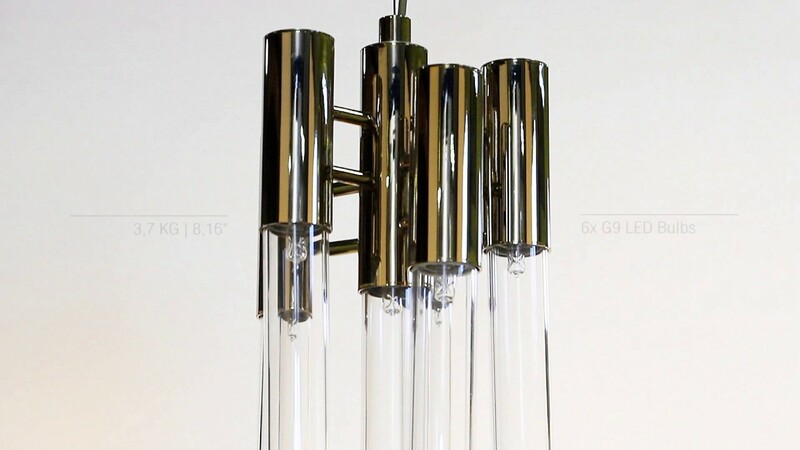 The glamorous sensation of water in the tubes is handcraft made by glass master craftmen. 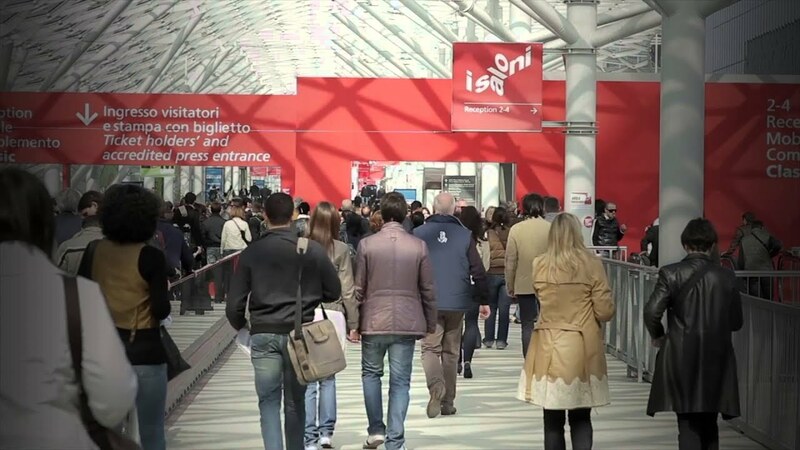 We will be present at Isaloni 2016! Visit us at Hall 22 M05 , and take a look at our new design pieces. See you there? Scala Chandelier is other master piece of Luxxu, poetically made, with the most beautiful Swarovski crystal, and the perfect details who combined a harmonious synthesis between classic and the contemporary, a unique piece that is capable of creating not only a perfect space but involve you in passionate emotions. 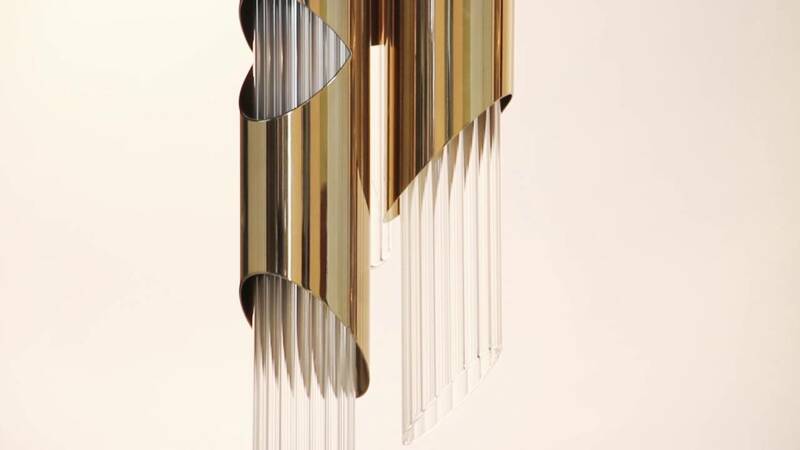 The design of this sconce was sculptured by the motives of the exterior windows in gold of this Iconic building. Trump promises to sparkle everything! 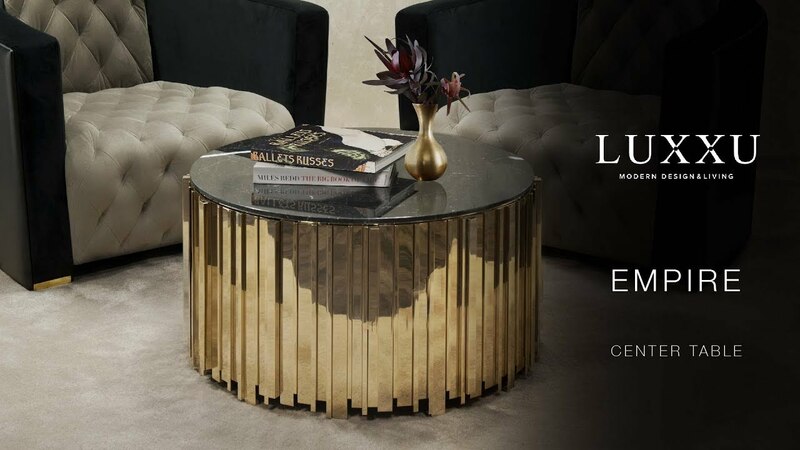 Built in brass and sublime tears of crystal glass, is perfect for a refined living room. 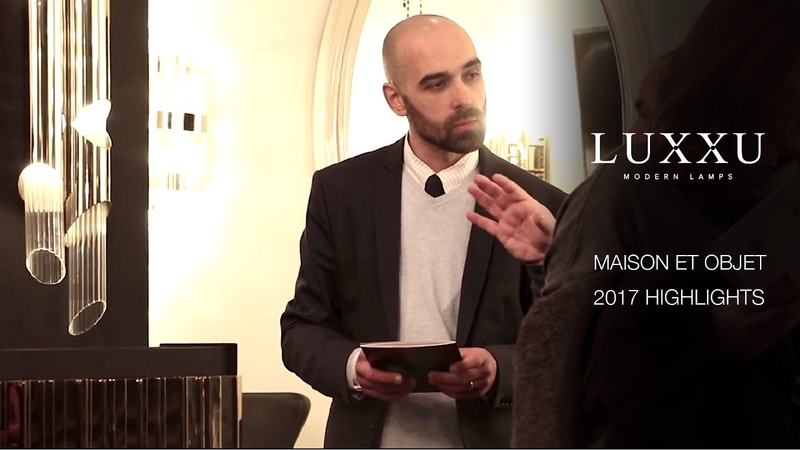 Take a look at our presence at last Maison & Objet Paris. See you at next design tradeshow. Discover our latest pendant lamp . This masterpiece is an extravagant shape full of modernity capable to transform every space in a stunning scenario. This is a natural decor piece that creates an exclusive atmosphere. 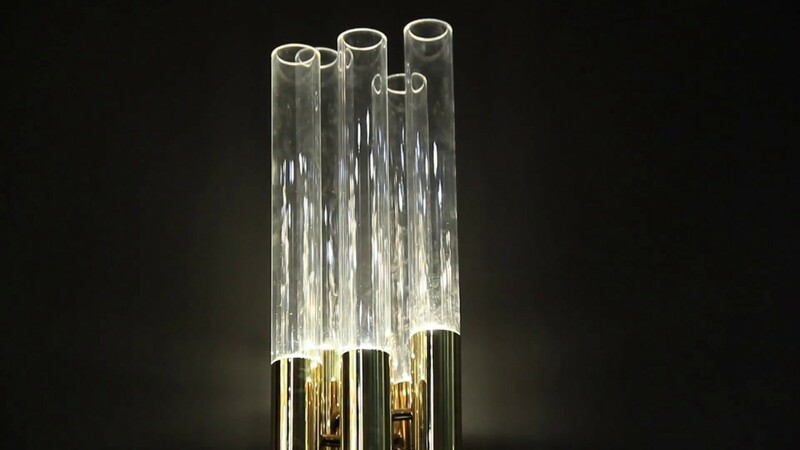 This master piece made with gold plated brass combined with ribbed fine tubes of crystal glass brings a natural feeling of waterfalls to your luxury homes. 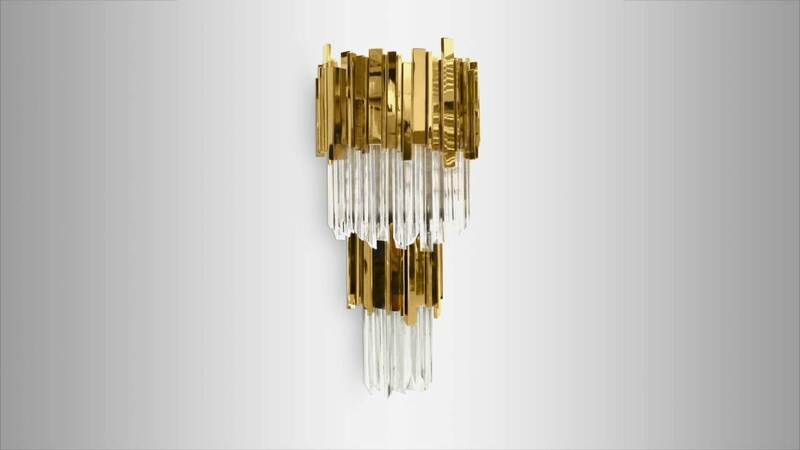 This wall chandelier fixture fully made of gold plated brass transmits elegance and sophistication to your luxury interior design. With delicate handmade crystal glass tubes, this piece brings to every space a magical sensation and a beautiful ambient lighting. This exuberant lighting design piece inspired in the stunning Burj Al Arab Hotel is a symbol of modern age and luxury tied by a simple string. Burj pendant offers a deco lighting design that can present elegant lighting solutions to you luxury homes. Waterfall wall lamp is a beautiful lighting design that represents a natural sensation of waterfalls. 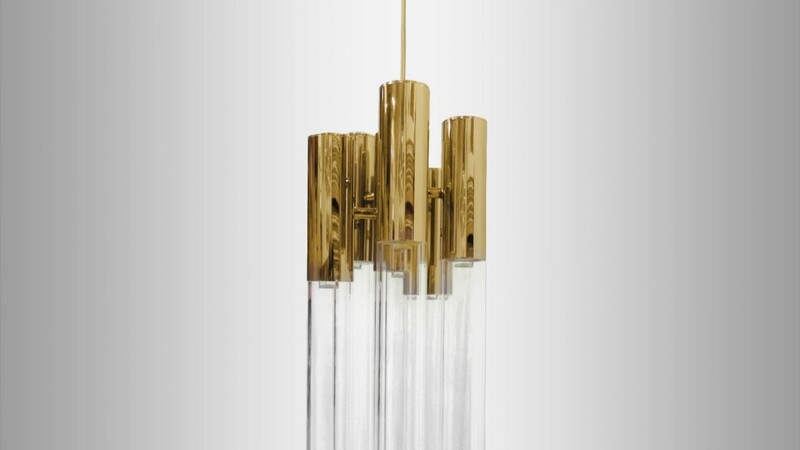 An elegant and modern design piece made of gold plated brass and handmade crystal glass tubes. 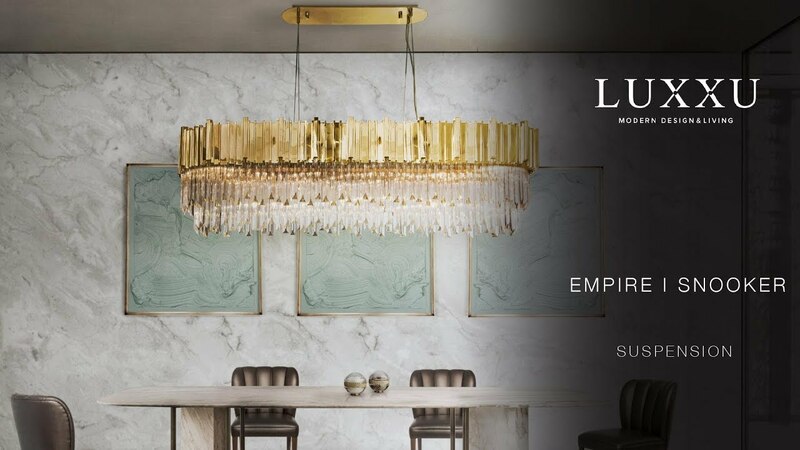 The Empire Pendant, is the new lighting design piece of our brand, created by our design team to your luxury homes. This is a natural decor and modern design piece that creates an exclusive atmosphere and ambient lighting . The Empire Wall is a natural modern design piece that creates an exclusive atmosphere and it will fit perfectly in any space of your luxury homes. 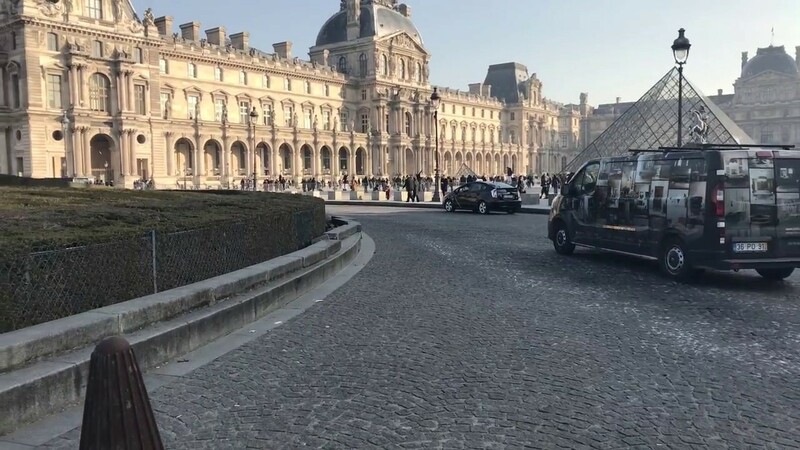 This piece gets its inspiration on Empire State Building that’s why this lighting design is so powerful and capable to transform every space in a stunning scenario with the best lighting possible. 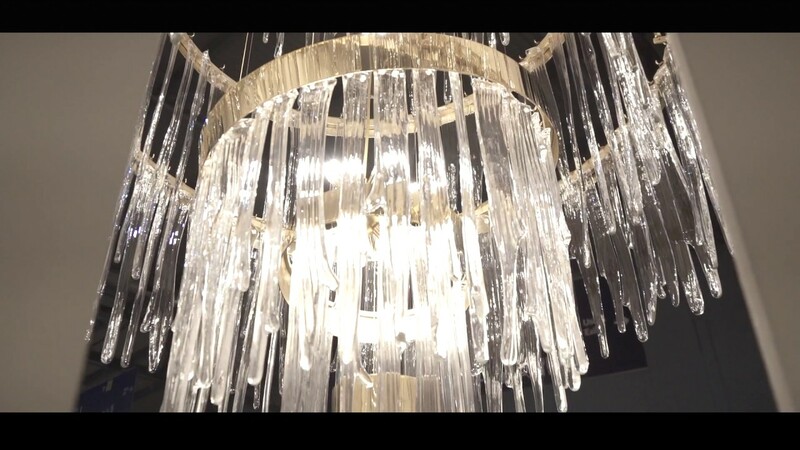 Theatre chandelier is one of our most luxury pieces. The lighting design is traditional and creative at the same time, combined the rich details and the best luxury and handmade materials. 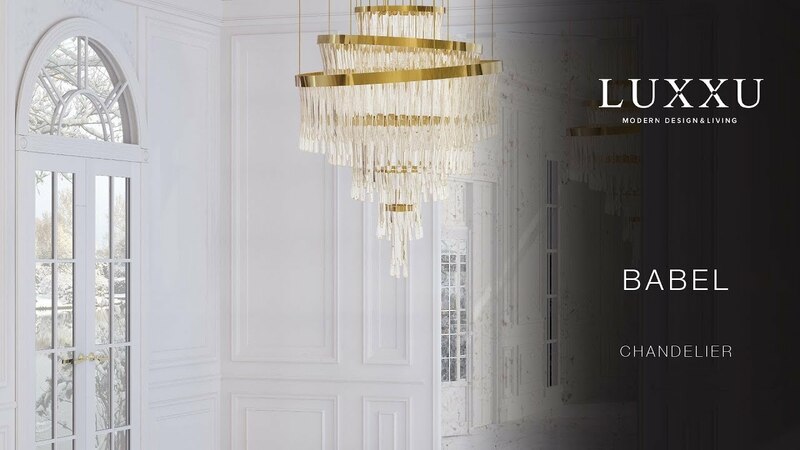 A master piece made with casted brass finish and 200 Swarovski crystals that creates a perfect ambient lighting for your luxury homes. This amazing piece is inspired in one of the most irreverent designers ever, Alexander McQueen. 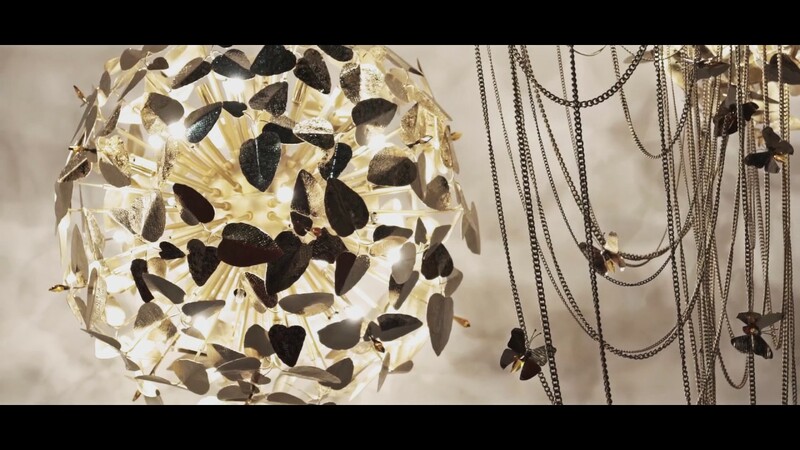 So powerful like his exhibitions, this lighting design combines the best luxury and handmade materials. Made of hammered brass with gold plated and handmade butterflies and majestic flowers ending with the touch of beautiful Swarovski crystals.Bold and feminine this modern design is a real lumen sculpture. The Empire Chandelier is inspired in the stunning architectural building, the Empire State Building. Its masterpiece is an extravagant modern design full of contemporary forms and capable to transform every space in a stunning scenario. 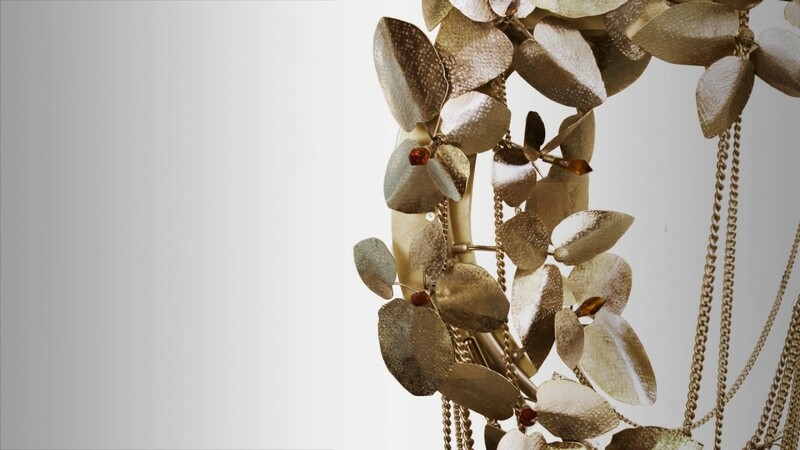 This is a natural decor piece that creates an exclusive atmosphere in your luxury homes. 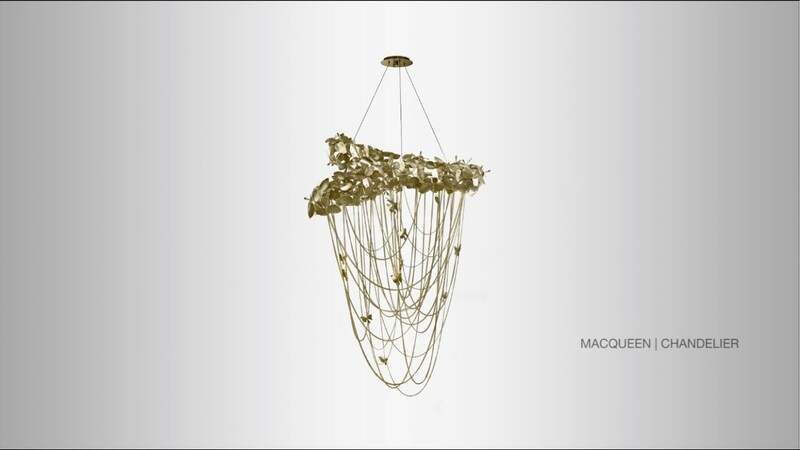 The wall version of McQueen Chandelier causes a dramatic and eccentric sensation of beauty. 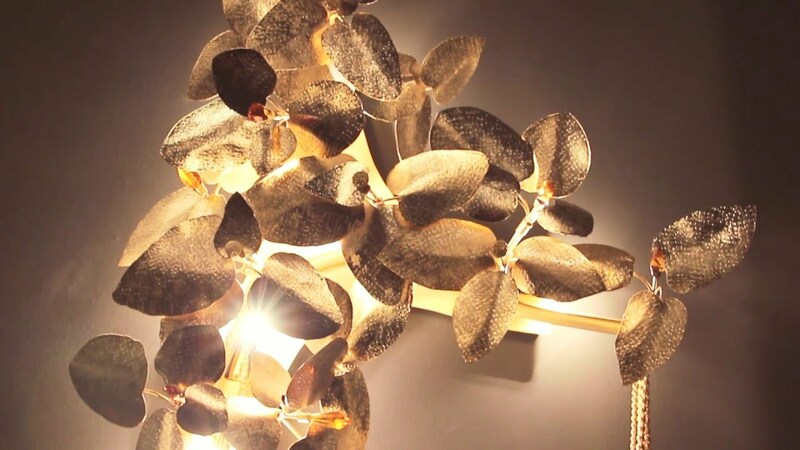 This lighting design is made of brass with gold plated and handmade butterflies and majestic flowers ending with the touch of beautiful Swarovski crystals. 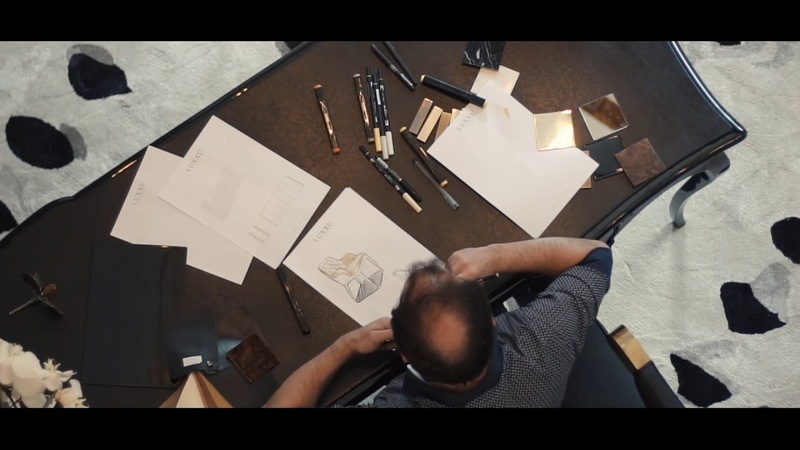 Discover how our artisans work with Filigree in our handmade modern design pieces. 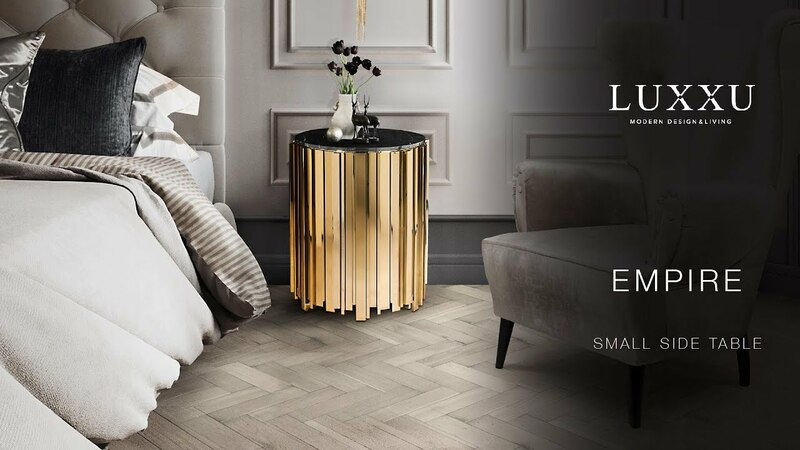 LUXXU invites you to check out our stand at Hall 8 – STAND F 83 /G 84, Maison & Objet Paris from 4th to 8th of September. Come visit us, and discover our novelties of modern art and lighting design. Come and meet us at COVET Lounge Studio. 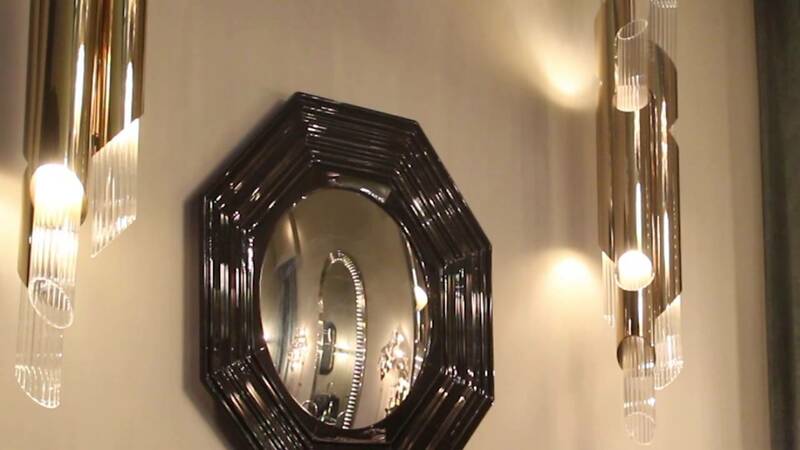 Everything sparkles under this elegant wall lamp. 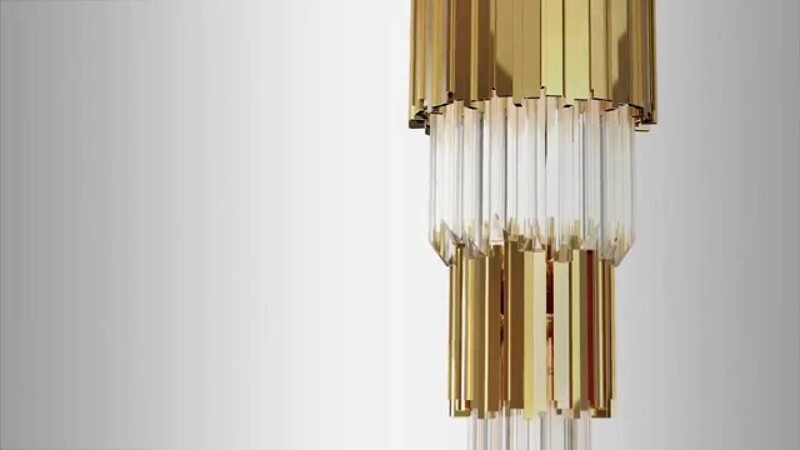 This deco lighting master piece made with gold plated brass combined with ribbed fine tubes of glass brings a natural feeling of waterfalls to your luxury homes. 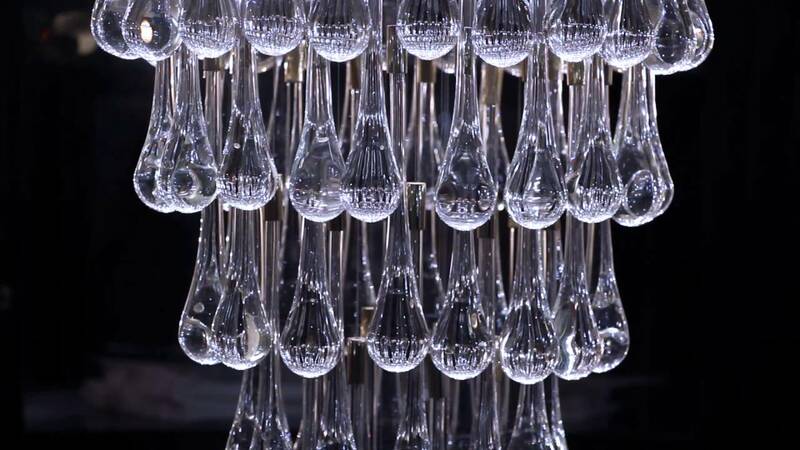 The glamorous sensation of water in the tubes is handcraft made by glass master craftmen. 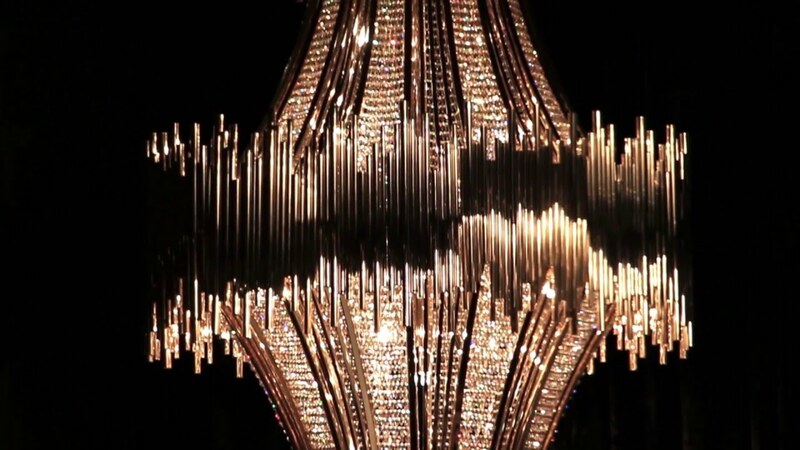 Theatre chandelier is one of the most luxury piece in Luxxu. Is traditional and creative at the same time, this amazing piece combined the rich details, the exuberant form with the best luxury and handmade materials . A master piece made with gold plated brass finish and 200 Swarovski crystals. 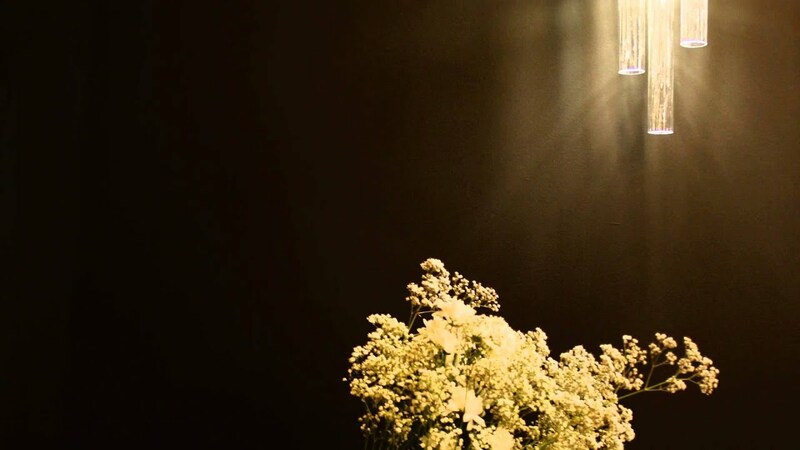 A perfect illumination for every luxury space. 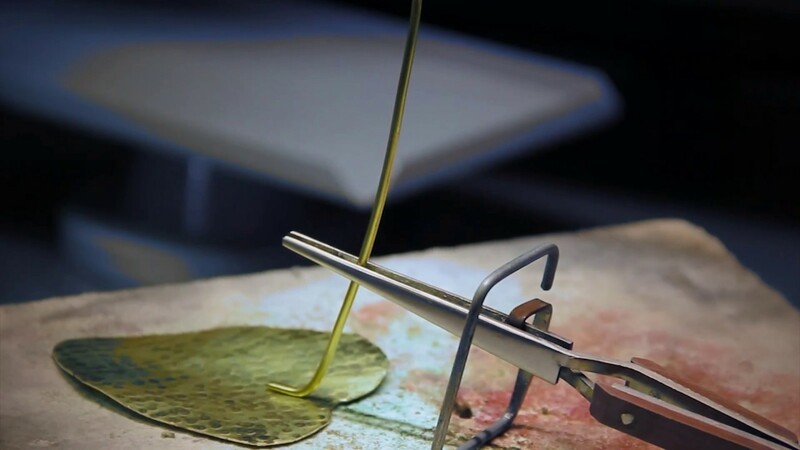 Take a look on handmade production that our team apply on our modern lamps. 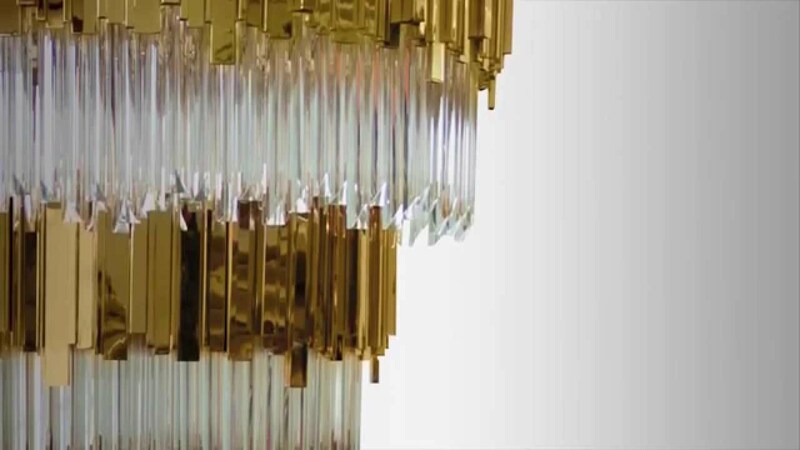 BURJ chandelier is inspired in one of the most stunning hotel in the world, the Burj Al Arab. 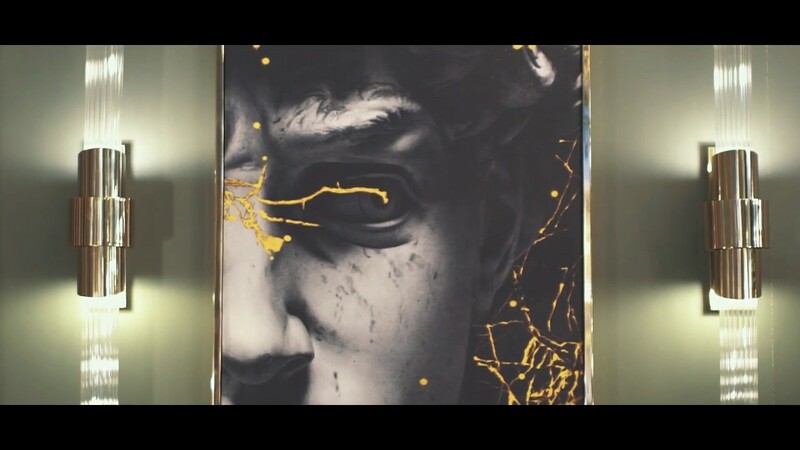 Like the hotel this master piece is a symbol of modern age and luxury together. It’s also a strong structure, extremely decorative, fully made of gold plated brass, with a delicately handmade glass tubes. 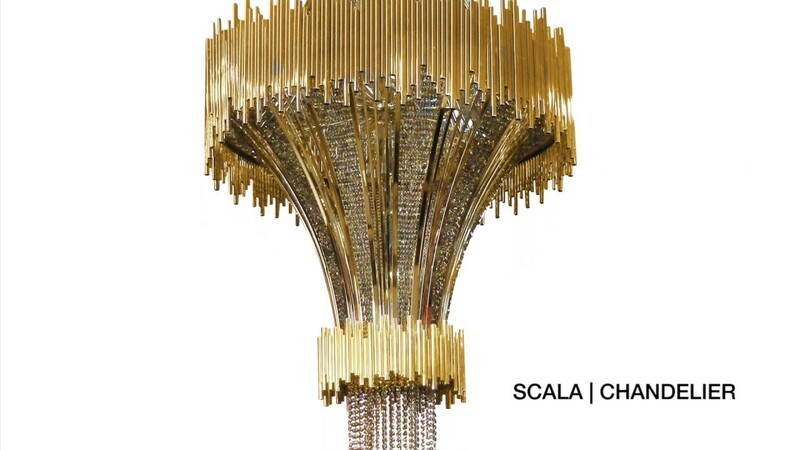 Scala Chandelier is other master piece of Luxxu, poetically made, with the most beautiful ￼Swarovski crystal, and the perfect details who combined a harmonious synthesis between classic and the contemporary,a unique piece that is capable of creating not only a perfect space but involve you in passionate emotions. 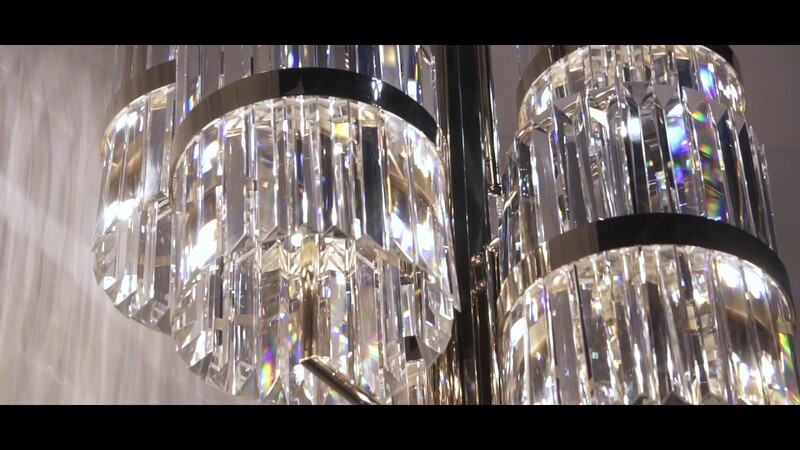 LUXXU’s world it’s all about exclusivity, ambience, sophistication gathering the classic and modern design expressing all the beauty of the Swarovski crystals. 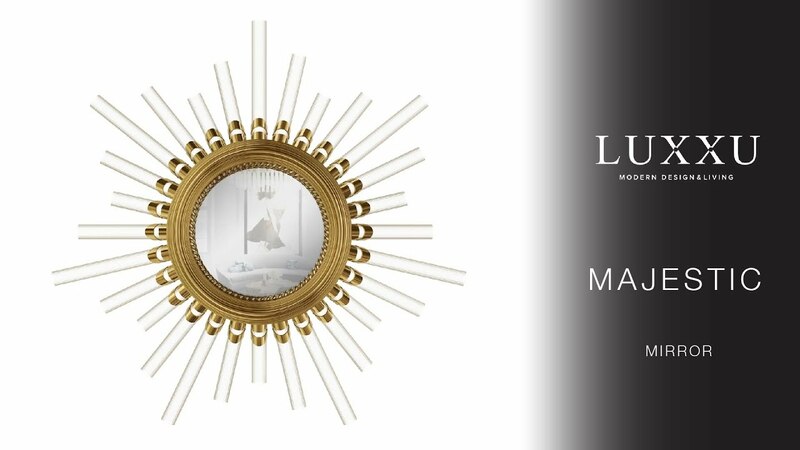 LUXXU at Isaloni 2015 - Come visit us!